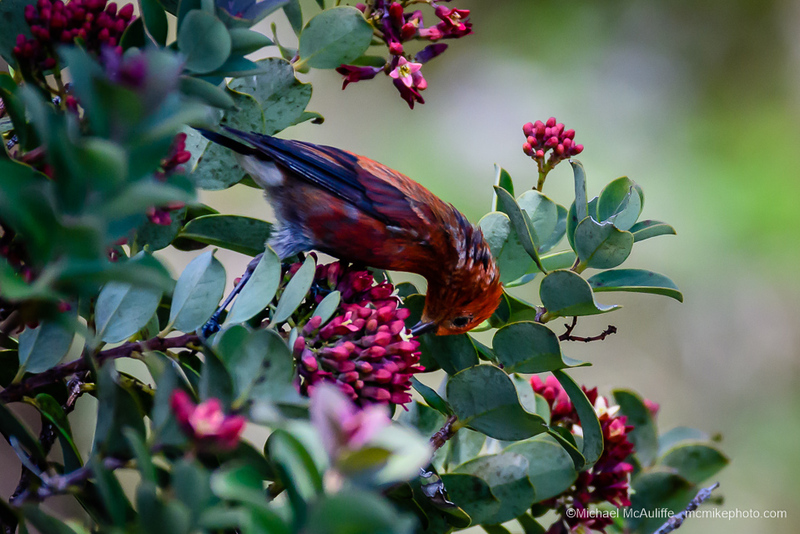 On several past visits to Hawaii I have tried to find and photograph native Hawaiian honeycreepers like the ‘apapane. Unfortunately, I didn’t find any birds on those trips. 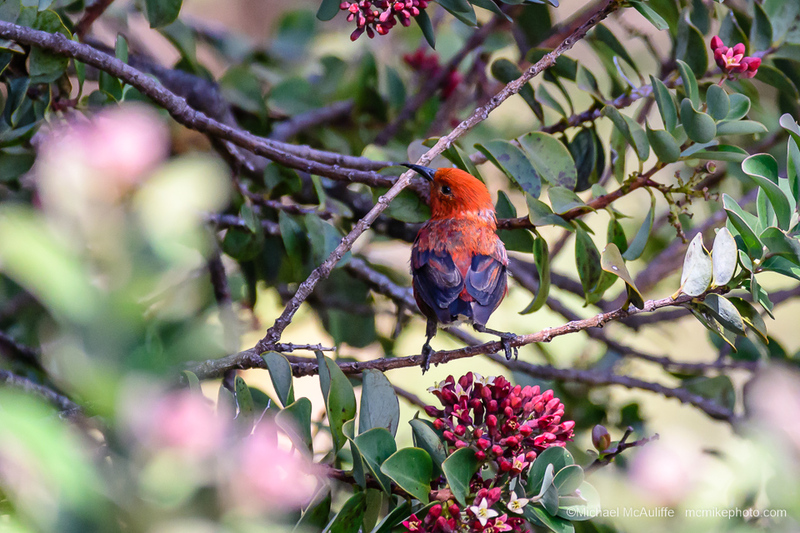 Finally during a visit two weeks ago I found an ‘apapane on the loop trail at Hosmer Grove on the slopes of Haleakala on Maui, and managed to snap a few photos of the bird. The bright colored little birds were a challenge to photograph as they don’t sit still for very long, flying from flower to flower sipping nectar. It was great to add a new bird to my life list, especially with a few photographs to document the encounter! Next trip I hope to find and photograph an ‘I’iwi another somewhat rarer honeycreeper that has an amazing looking curved bill. 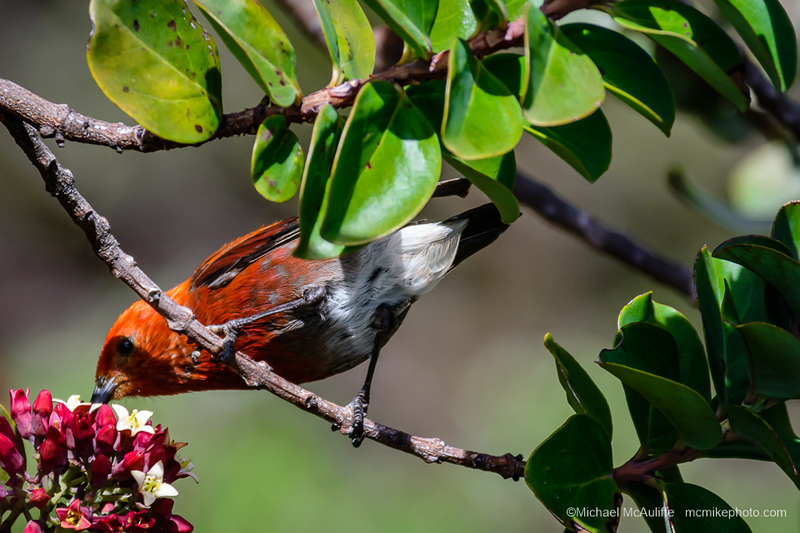 This entry was posted in 'apapane, Hawaiian Birds, Maui and tagged 'Apapane, Bird Photography, Bird Photos, Honeycreeper, Hosmer Grove, Maui.